A well-managed and well-organized WordPress media can become a real time saver. It will let you search for your required image/media file quickly and easily. Due to which, you can save your precious time searching media files and instead use them for other positive website development works. 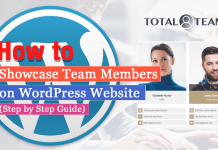 WordPress, being a flexible platform for its users comes with inbuilt media library for uploading and inserting your media files (images, videos, audio clips or other attachment) on any page/post. This feature provided by the default WordPress media library is quite great if you have a small website with less number of media. However, if own a larger website that contains lots of media then, the feature provided default WordPress media library might turn out to be limited. Moreover, searching for your media files will also be difficult as you have to go through hundreds and thousands of media. 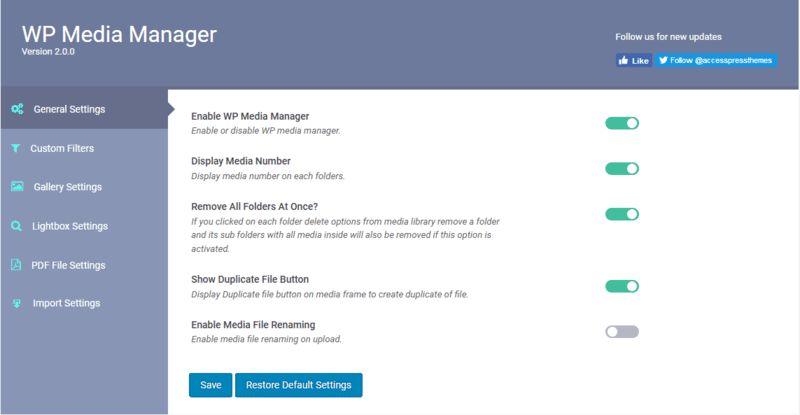 Therefore, to organize all your media files properly and allocate them in folders, we recommend you to use WordPress Media Manager plugins. As they contain different features and functionalities to add all your media attractively their specific folder. 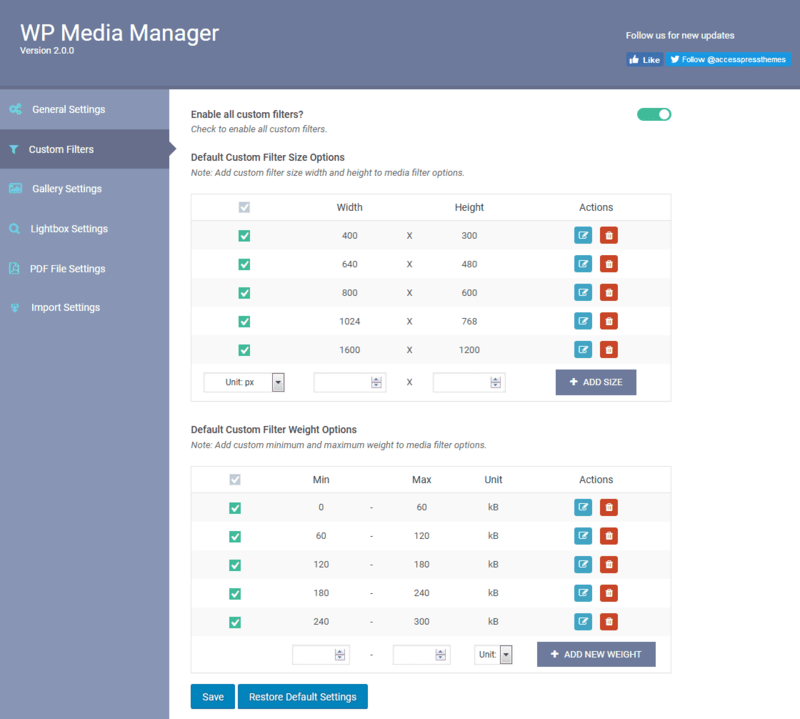 Besides, a media manager WordPress plugin will also allow you to sort all your media files and folders in different category wise, type wise or filter wise that will make your media searching easier than ever. 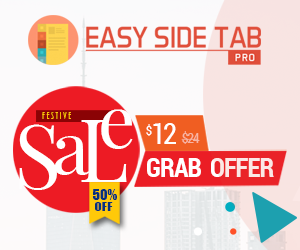 Purchase WP Media Manager from CodeCanyon marketplace at a reasonable price of $23. Then, install it on your website. If you face any type of difficulty while installing the plugin, you can refer for the help from its documentation. After you have activated the plugin, you can see “WP Media Manager” on the left menu of your WordPress dashboard. Click on it start your customization. From the general settings, you can enable/disable different settings such as display media number, show duplicate button, media renaming, and remove all folder at once. The custom filters settings section will let you configure the height and width of the custom fields of your media manager. From here, you can settings of your media gallery. In the lightbox settings, you can choose the template for your pretty photo, set the animation speed, and slideshow speed. Here, you can set the size, format, and color for your PDF files. 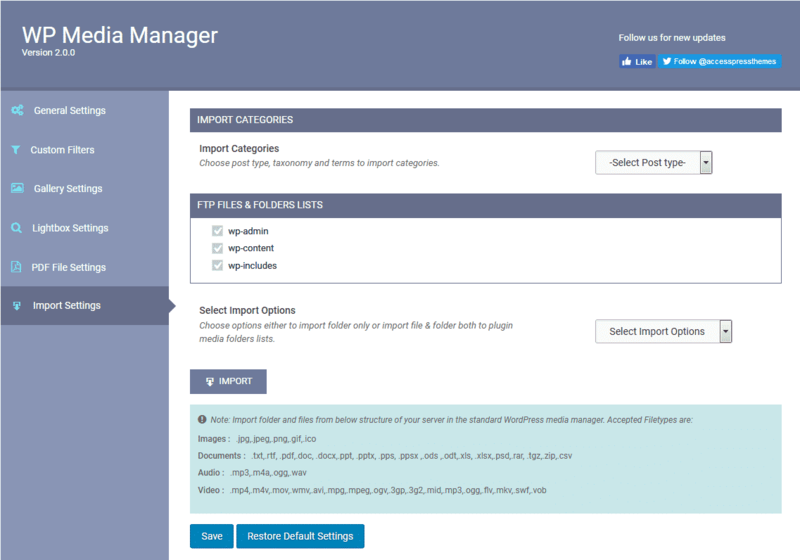 This setting section will allow you to import the files and folder list from different locations of your WordPress website. After you have finished configuring your media manager, go to Media > Library to start organizing your media files. First of all click on “Create Folder” to create your media folders. Then, drag and drop your media to the folder of your preference. 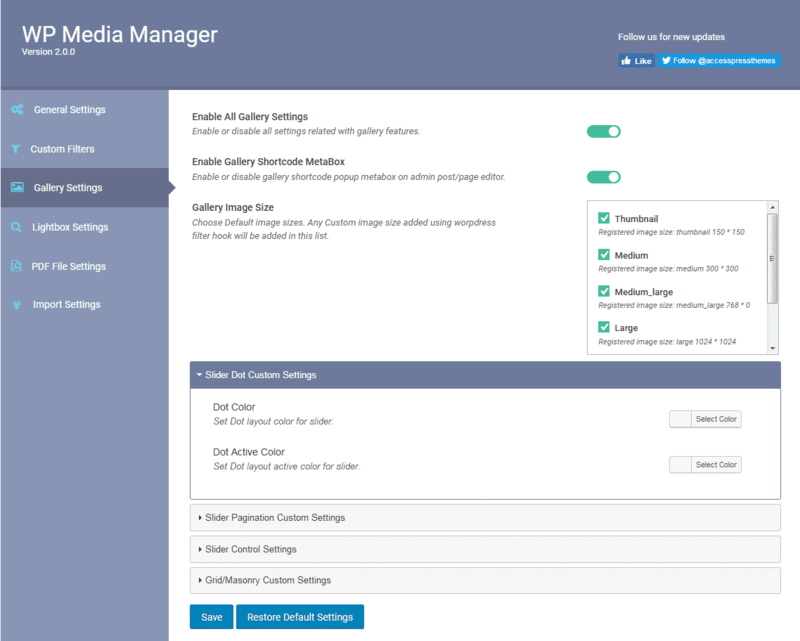 In this way, you manage your WordPress media using WP Media Manager plugin. 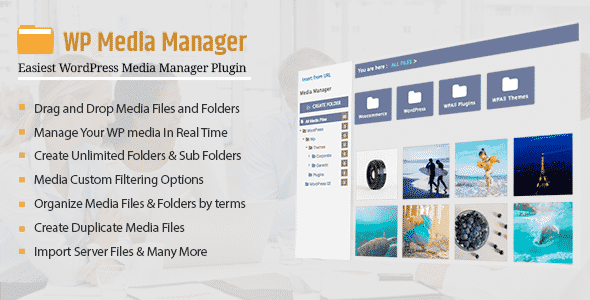 WP Media Manager is a complete media management plugin that consists of different features for easily managing your media files and add them attractively in the folder. 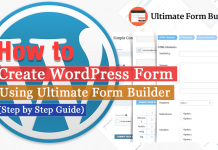 So, if you want to manage the media files of your WordPress website then, you can purchase the plugin and follow this step by step guide. 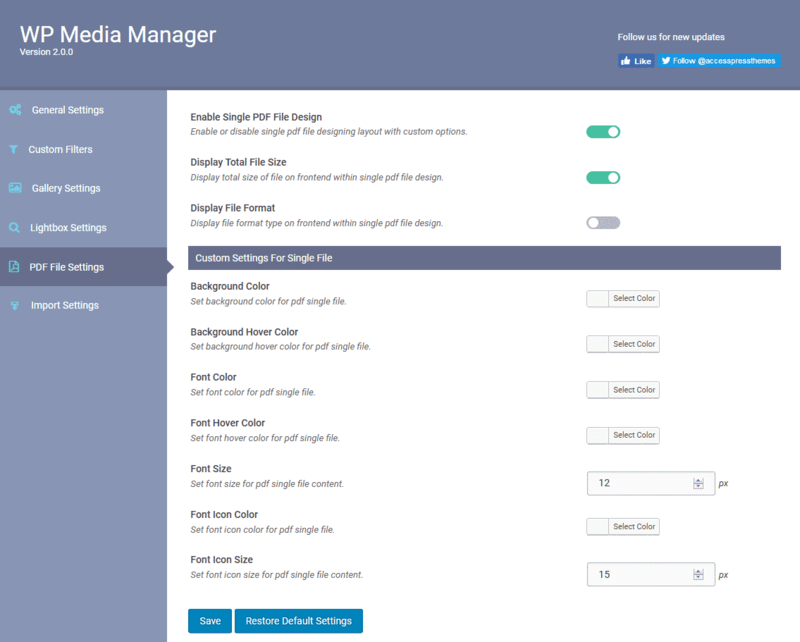 If you are looking for free WordPress media manager plugin then, you can check out: WP Media Manager Lite. Previous articleHow to Fix the WordPress Failed to Open Stream Error? 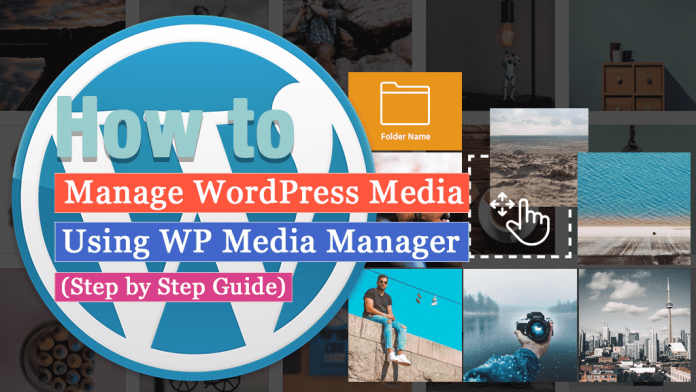 Hey Buddy!, I found this information for you: "How to manage your WordPress media using WP Media Manager? (Step by Step Guide)". 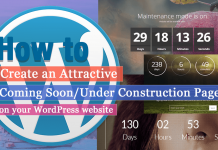 Here is the website link: https://wpallclub.com/manage-your-wordpress-media/. Thank you.